Brother Martin's sophomore Paul Klein wins his second Division I state championship with a fall over Comeaux's Jacob Dale. Brusly's Trevor Schermer wins his third Division III championship over Oscar Telles of Bossier. St. Louis' Louis Stutes cross-faces Bruce Duhe of Holy Cross as Stutes wins his second Division II state championship. 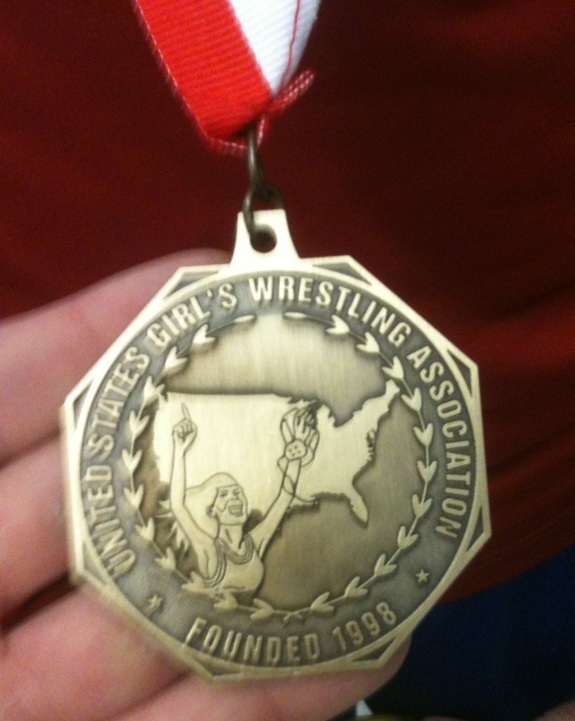 Doyline High School freshman Brittany Bates took home the gold medal at the USGWA Girls Wrestling State Championships OPEN, Saturday, March 2nd, at Clinton High School in Clinton, Oklahoma. [Left] A tad bloodied Mitch Capella won the 113 lbs. Division I state championship 5-0 over Comeaux's Connor Stampley. The Jesuit senior was undefeated against Louisiana competition this year. His Blue Jays had another state champion in Manny Armour at 195 lbs. and placed second to Brother Martin. [Right] St. Paul senior David Englehardt tries to maintain control over Catholic's James Claitor in the Division I 145 lbs. title match. 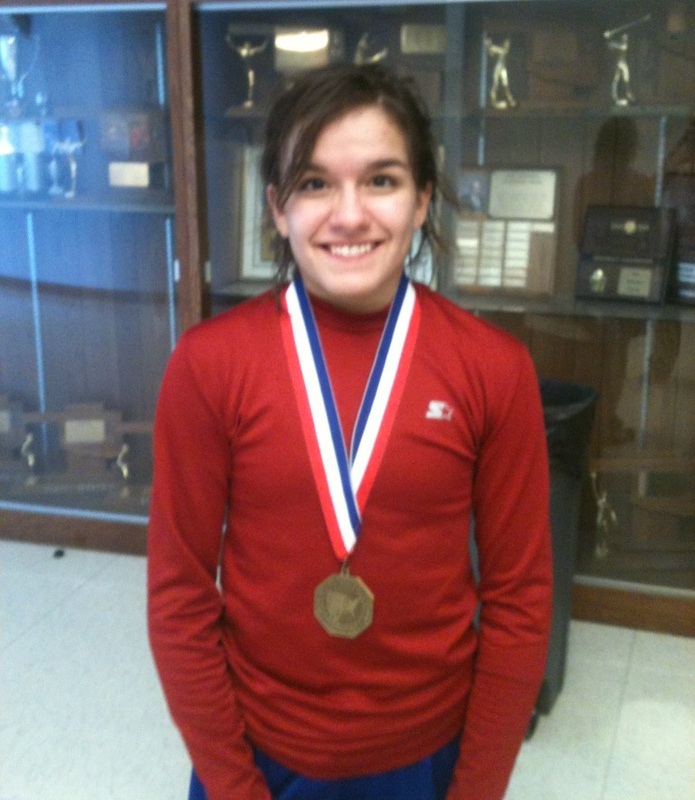 Undefeated at 145 lbs. in Louisiana, Englehardt dropped to 138 lbs. to allow other teammates to participate in the event. 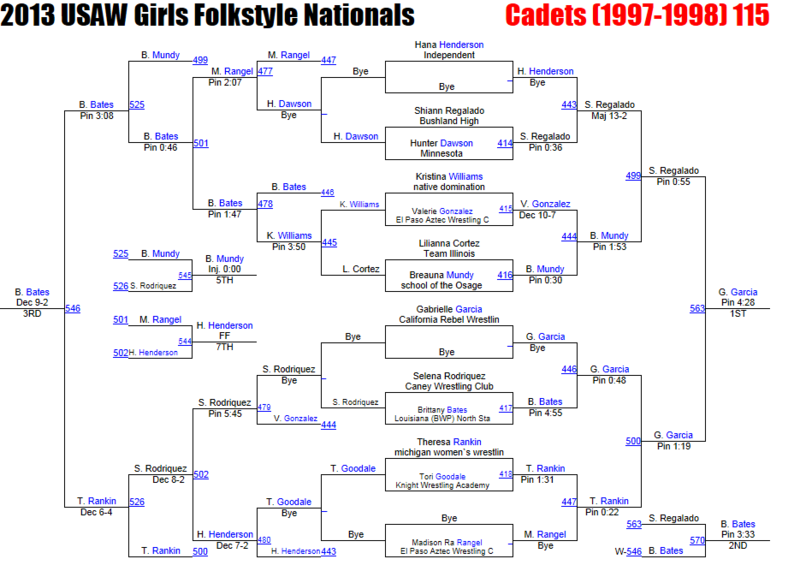 Claitor, a junior, won the championship 11-6. Curtis' Nick Bloomer avoids a pin but not a 20-3 technical fall against Rummel's Tyler Frame. Curtis' G'Corey Fullilove scores a fall over Rummel's Guillermo Suarez. Curtis' Prentice Spurlock tries to turn Rummel's Devyn Breaud. February 7 Raiders cruise past Patriots 62-15. Catholic's Brandon Luckett is close to being pinned, for 1/640th of a second, as he executes a standing Granby roll at the GBR Championships. EDITORIAL: What has happened to civic pride in New Orleans? Jesuit's Will LaFranca wins the Ken Cole at 126 lbs. Comeaux's Abram Sellers wins the Ken Cole at 138 lbs. Northside's Daniel Kincade wins the Ken Cole at 220 lbs. Catholic's Brandon Luckett wins Culotta. pin en route to his Sam Sara championship. Ehret's Deion Floyd (left) takes 3rd at the Trygg. EDITORIAL: What we have here is a failure to communicate. Anyone associated with Louisiana high school wrestling is encouraged to submit articles or photographs for review and possible publication.